We are going through a busy period of events and development here at Asian Arts Agency. In March, we have a range of events planned in Bristol, nationally (London and Birmingham) and internationally. First up, PunjabTronix; our new music commission, developed in 2017 as part of the Re-Imagine India programme to celebrate India’s 70th Independence anniversary, has been invited to the SXSW Music festival in Austin, Texas, in March 2018. Following a successful UK tour in July 2017, this exciting project has attracted global attention from audiences and festivals, which is testament to the quality of the new work created. Prior to the SXSW showcasing, PunjabTronix will tour to a number of venues in New York, Washington DC and Boston. We are delighted to be exporting our work to international markets. In Bristol, we are looking forward to working with twice Grammy nominated slide guitarist, Debashish Bhattacharya, at St George’s Bristol on 26 March in a very special and exclusive UK performance. We are also pleased to be able to provide an opportunity for a local Bristol based musician to perform a support set at the concert (still TBC). 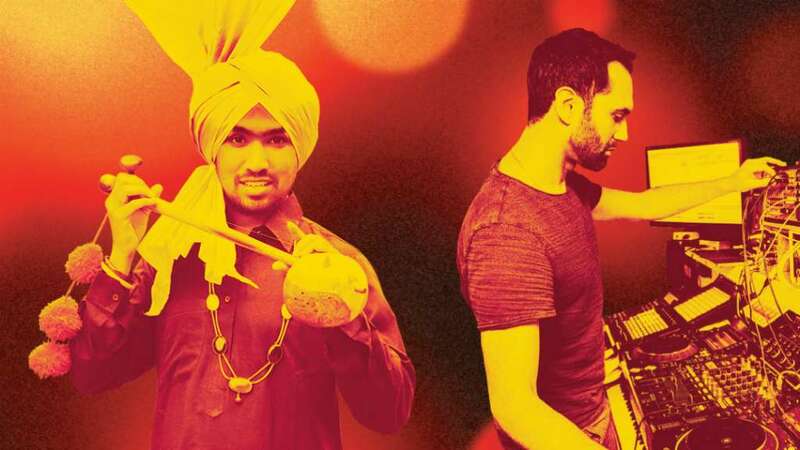 This event will be followed up by two live concerts with Harshdeep Kaur at Barbican London (27 March) and Town Hall in Birmingham (28 March). In these special performances, Harshdeep will perform live with her full band from India. Finally, I have just got back from a ‘Music Trade Mission’ in Mumbai, India. It was fascinating to see a growing contemporary music scene in India. We will be exploring opportunities for British and Indian artists to collaborate and develop new work in the future. Thank you for your ongoing support as ever. I look forward to seeing you at Asian Arts Agency events.